Being a learning community is integral to who we are at ISP. One of our ISP2020 Strategies is; Everyone in our community takes active steps to learn with and from each other. This means that adults in the ISP Community are encouraged and supported to be lifelong learners just as students are. The Edge in Education is a series of seminars and workshops, several of which take place each academic year on campus at ISP. The series brings together eminent international speakers from the field of education and beyond with ISP educators and parents. 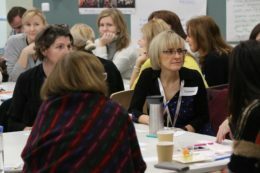 The sessions cover a range of thought provoking presentations on current and future trends in education. The links below show video coverage of the Edge in Education sessions. With Dr. Marc T. Frankel: A central question for schools today is how to prepare students to “adapt and contribute responsibly to our changing world.” The good news is that we know the answer. This answer has less to do with traditional markers of success—test scores and elite university admissions—and more to do with habits of mind and heart that students can take with them to a multiplicity of schools and workplaces. The challenge of the future is to stay continuously relevant, and the great schools will be those that prepare students to find and sustain their own relevance. Learn what makes a great school and how international education can be at the vanguard of preparing students “to lead healthy, fulfilling, purposeful lives” in an ever-changing world. 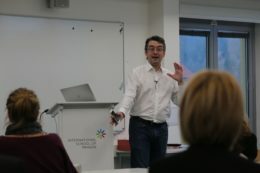 Garfield Gini-Newman, Professor at the Ontario Institute of Education at the University of Toronto, speaks once more to ISP parents on the theme of engagement. In this session Garfield clarifies what is meant by educational engagement at levels from low to transformative. This session is about how educators and parents can support deep learning through engagement and thinking, both critical and creative. In this session, Kath shares with parents the ways in which an inquiry approach to learning really engages students and helps them build a strong skill set for learning at school and for life. This session also includes suggestions for ways in which parents can support their child to be curious questioners and problem solvers. -Nurturing creativity, helping unleash students’ potential for innovative responses to complex and often unique challenges. ISP welcomed Dr. Yeap Ban Har, Professor of Mathematics Education at Singapore’s sole teacher education institute, the National Institute of Education at Nanyang Technological University. Since 2010, he was the principal at a teacher professional development institute and concurrently Director of Curriculum and Professional Development at Pathlight School in Singapore. He is also Academic Director at Anglo Singapore International School, an international school in Thailand. Linked to ISP’s Mission to Empower learners, Ban Har’s presentation was a conversation about what and how students should learn through mathematics. The presenter will share some data of student learning and outline learning experiences that are critical in high-level learning in mathematics. 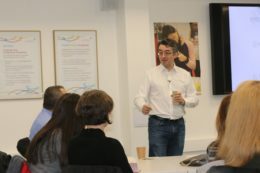 This session was led by Ewan McIntosh – the passionate and energising tour de force behind NoTosh. 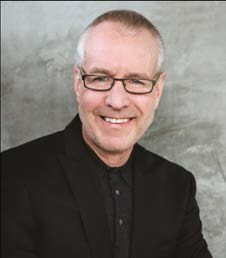 A highly-regarded keynote speaker at events around the world, he’s also the author of How To Come Up With Great Ideas and Actually Make Them Happen. The world is screaming out for young people who can do more than just follow the rules. Following the rules is not enough anymore to create the products and services that people need, or to find and resolve the planet’s greatest challenges. (#ISP2020Change) And yet, so much of our schools’ values and systems present a challenge of their own: they are all about rule-following, and doing ‘well’ against pre-set criteria. What if school wasn’t about meeting the criteria, but exceeding them. What if school wasn’t about following all the rules, but helping students learn when they should really go about breaking them? Sharing insights from his work with some of the world most innovative engineering and creative firms, and first-rate schools, Ewan McIntosh will show how school can be less about preparing students for an unpredictable world, and more about putting them at the centre of changing it. What is the most burning question you have about the way your child learns, the way teachers teach, about what you can do as a parent to support your child as they thrive long into the future? Ewan McIntosh, originally a high school teacher who learned the most by teaching three year olds now works with some of the world’s most innovative engineers, fashion designers, media folk and yes, teachers. He helps them understand how they can work together to create something bigger. 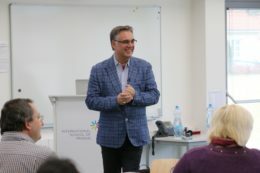 Garfield Gini-Newman, professor at the Ontario Institute of Education in the University of Toronto, and highly respected teacher, author and consultant led a session on quality thinking for ISP Parents. 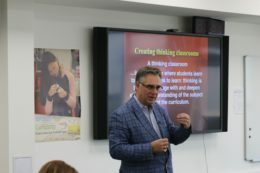 Garfield, co-author of “Creating Thinking Classrooms”, is working with educators around the world to nurture critical, creative and collaborative thinking. Kath Murdoch, Kath Murdoch is an experienced teacher, author, university lecturer and popular consultant who has worked for many years in schools throughout Australia, New Zealand, Asia, America and Europe. 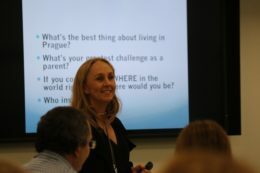 Kath’s session for ISP parents focused on why curiosity and wonder are such vital dispositions for learning (and living!). 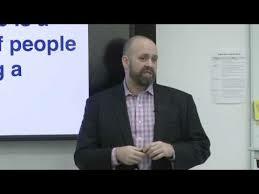 ISP welcomed back Mark Church, co-author of “Making Thinking Visible” to address parents. Routines that develop productive language and interactions for meaningful learning with our children. ISP is proud to be the first international school to pilot the new NEASC (New England Association of Schools and Colleges) accreditation protocol, known as ACE (Architecture, Culture, Ecology). Why is this new approach to accreditation necessary? Great schools are those where directions and decisions are framed by powerful, shared, research-based principles, not constrained by an over-abundance of complicated rules and regulations. Our concept of ‘learning’ – what ‘it looks like’, how it is nurtured or hindered, where and how it occurs, and what it means to be a learning-focused organization – has significantly changed thanks to social, economic, and technological shifts and dramatic new insights and understandings provided by brain research. Yet, despite many efforts at reforming and reinventing the place we call ‘school’, education has made little progress in liberating itself from a 19th century factory model designed to produce mass literacy – and a compliant work force. For the most part ‘school’ continues to be a place where learning is equated with academic outcomes, content mastery, and uniformity of process and practice. ‘Learning’ remains largely de-personalized, is often confused with high stakes test results, and does not equip our children with the understandings, aptitudes, dispositions, values, and competencies needed to deal with the global dilemmas and challenges of our times. 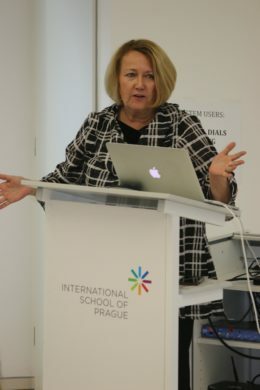 The preliminary accreditation team joined us during the first week of May, and spoke with the ISP community about the link between the principles embedded in our learning experiences and those arising from educational research. Edge in Education Breakfast Mixer and Panel Discussion, April 24, 2015: The final session of the “Edge in Education” Series* of the 2014-15 academic year at the International School of Prague. Thank you to Michael Del Nin (Co-CEO, CME), Eva Shaw (Partner & Country Manager, Czech Republic & Slovakia, Lansdowne International), and John Westby (AVP, IT Global Innovation Center at Merck). The heart of our ISP Mission is to prepare learners to adapt and contribute to our changing world by engaging them in an authentic global education. “Design Thinking” is a structured, engaging and dynamic process that develops learners’ empathy while developing critical and creative thinking, as the learner generates and develops ideas for identified needs (see this video for a two minute video intro to Design Thinking. Tinkering, making, and/or inventing for authentic needs provide powerful opportunities for learners to fail and bounce back from getting stuck, nurturing the key dispositions for future success: risk-taking, tenacity, resilience, and grit. Attendees were asked to watch this five-minute video before the meeting – it’s about a teenager using Design Thinking to authentically contribute to the world. In order to realise this mission, we examine trends to better anticipate what may be “life worthy learning.” Click on the image below to watch the video. In the Jan. 16th session, we discussed how students at ISP investigate issues, prepare for service, take action, reflect on their steps, and document their learning; how can we inspire our learners to act with compassion and intercultural understanding? Parent, students, and faculty members shared their experience with Service Learning. 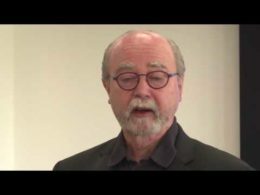 Attendees were encouraged to watch this six-minute interview with David Perkins of Harvard University which acted as a springboard for the discussion about the challenges the relevance gap poses and how we’re addressing some of these challenges here at ISP. 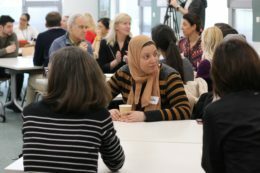 ISP’s enthusiasm for professional development and commitment to innovation in education means the school welcomes educational experts from around the world to speak to our faculty, staff and community. See below for the range of renowned educational thinkers and speakers who will visit ISP in 2018/19. ISP’s excellent facilities also allow the school to host a significant number of conferences. 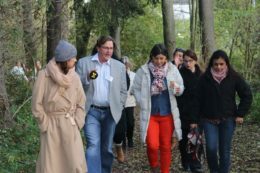 In recent years ISP has hosted the Central and European School Association (CEESA) Conference, Ibicus International Baccalaureate workshops, the Czech National Teachers Conference and a memorable visit from the totemic British primatologist, Dr. Jane Goodall. Please contact us if you are interested in conferences at ISP. 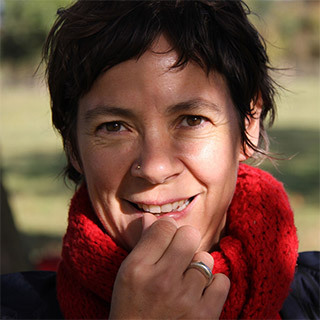 Several Visits over 2018/19 – Deb Wilenski is a pedagogical consultant, educator, writer, and graphic designer working with Reflections Nursery and Forest School (West Sussex, UK) and Cambridge Curiosity and Imagination (Cambridge, UK). 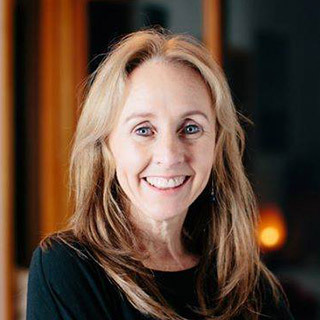 October 2-4 2018 – Kath Murdoch is an experienced teacher, author, university lecturer and popular consultant who has worked for many years in schools throughout Australia, New Zealand, Asia, America and Europe. She is widely respected for her work in the field of inquiry based learning and integrative curriculum in which she has taught, researched and published for well over 20 years. October 8-10 2018 – Garfield Gini-Newman is an associate professor at OISE/University of Toronto and the senior national consultant with The Critical Thinking Consortium. 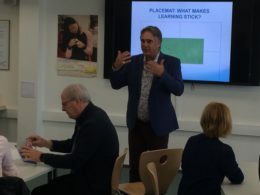 He has worked with thousands of teachers across grades and subjects, helping them to frame learning around engaging and provocative activities and authentic assessments. 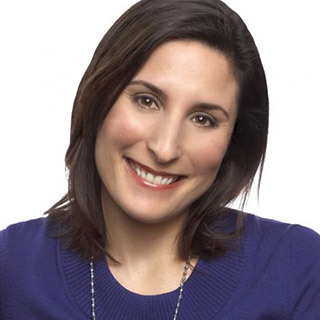 November 25-27 2018 – Rosalind Wiseman is an educator, writer, and founder of Cultures of Dignity. For over two decades she has been talking with, listening to, and occasionally arguing with young people about everything and anything that’s important to them. She has authored five books — two of which hit the NYT Bestseller List. Rosalind’s non-fiction books are titled, Queen Bees & Wannabes, Masterminds & Wingmen, The Guide, Queen Bees Moms & King Pin Dads, and the Owning Up curriculum. 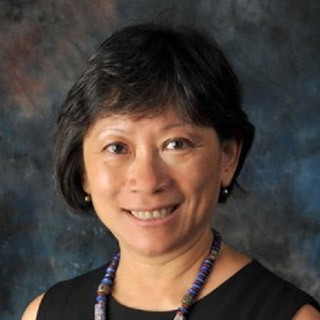 December 4-12 2018 – Ochan Kusuma-Powell is co-founder and director of Education Across Frontiers, an organization that promotes teacher education towards the development of professional learning communities. A graduate of Columbia University with a doctorate in international education development, she has more than 25 years experience in international education and is actively involved in supporting international schools to become more inclusive of students with special needs. 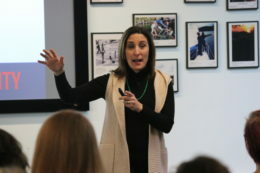 Ochan has worked as a consultant to international schools in the areas of differentiated instruction, developing teacher emotional intelligence, collaboration and coaching. She is an Associate Trainer for Thinking Collaborative, for both Cognitive Coaching as well as Adaptive Schools. 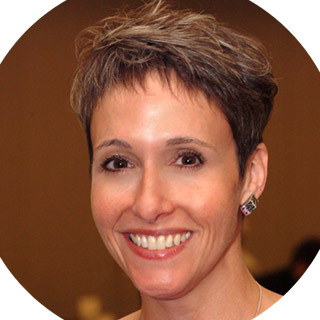 April 5-6 – Jennifer Abrams is an international educational and communications consultant for public and independent schools, hospitals, universities and non-profits. Jennifer trains and coaches teachers, administrators, nurses, hospital personnel, and others on new employee support, supervision, being generationally savvy, having hard conversations and effective collaboration skills. The mission of Cognitive CoachingSM is to produce self-directed persons with the cognitive capacity for excellence both independently and as members of a community. Research indicates that teaching is a complex intellectual activity and that teachers who think at higher levels produce students who are higher achieving, more cooperative, and better problem solvers. It is the invisible skills of teaching, the thinking processes that underlie instructional decisions, which produce superior instruction. Ochan Kusuma-Powell​ is cofounder and director of Education Across Frontiers, an organization that promotes teacher education toward the development of professional learning communities. A graduate of Columbia University with a doctorate in international education development, she has more than 30 years experience in international education and is actively involved in supporting international schools to become more inclusive of students with special needs. Together with her husband Bill, she co-authored an OSAC publication entitled Count Me In! Developing Inclusive International Schools, Making the Difference: Differentiation in International Schools and Parent Advocacy in international schools. 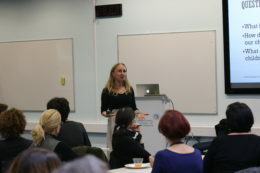 Ochan has worked as an consultant to international schools in the areas of differentiated instructions, developing teacher emotional intelligence, collaboration and coaching. Recent books include Becoming an Emotionally Intelligent Teacher; How to Teach Now: 5 Keys to personalized Learning and The OIQ Factor: Raising Your School’s Organizational Intelligence. She is an associate Trainer for |Thinking Collaborative, for both Cognitive Coaching as well as Adaptive Schools. Spaces are limited please register by August 31, 2019. Registration costs cover book, course royalties, registration and refreshments (coffee, snacks, lunches) for FOUR days. Participants are expected to organize their own lodging and travel to and from Prague. ISP’S Finance Department will send you an invoice upon your registration. The invoice will be sent to the email address specified in the registration form. In order to reserve your seat, we ask that the payment is received by the due date given on the invoice. Registrations cancelled after August 31st will not be eligible for a refund. Registration fees may be transferred to another individual. The cancellation requests should be sent to tbelisle@isp.cz. ISP is located on Nebušická street 700, 164 04 Prague 6. You can get to ISP by taxi calling Triple AAA Taxi Service, 14014, for a cost of about 200 – 300 CZK. The ride takes about 10-15 minutes. Dolce Villa Hotel is located 10 minutes easy walk to the school. Borislavka (Direction Motol). From Borislavka (bus station is on Horomericka street)you take a bus 161 or 312 to Průhonský háj station (Plan your journey here). When arriving at Borislavka metro station take the moving stairs up then turn left and use the lift at the end of the corridor. Get of the lift, cross the street Horomericka, turn left and you will see the bus station Borislavka. You can get to ISP from downtown by taxi as well calling Triple AAA Taxi Service , 14014, for a cost ofabout 400 CZK. 40 minutes and cost about 500 CZK. Public transport from and to the airport is provided by buses of PIT and by the special bus AE (Airport Express). Here is the full guide. Please consider staying at the nice, small boutique hotel a five-minute walk to the school, Dolce Villa Hotel, for special ISP rate – 1500 CZK. The price includes a rich breakfast buffet, wifi, parking. When booking a room please say/write down the name of the seminar. The best way you can get to the Dolce Villa Hotel from the airport is by taxi. The ride takes about 10-15 minutes and cost 200-300 CZK. The ISP building and Dolce Villa Hotel in Nebušice in Prague 6 are only short distance to the town center, 20 minutes by car or public transportation. 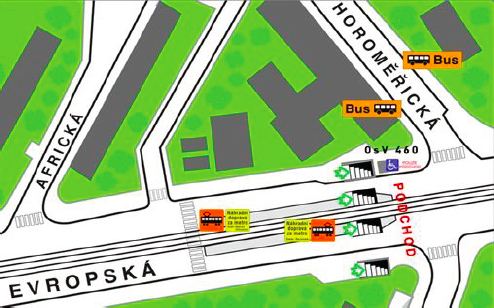 You can take a bus (bus number 161 or 312 to the metro station Borislavka – green line A) which stops outside the school (bus stop Pruhonsky haj) or outside the hotel (bus stop Skola Nebusice). You can get from school or hotel into the center by purchasing a ticket for 32 CZK or you can take a taxi into town by calling Triple AAA Taxi Service, 14014, for a cost of about 400-500 CZK. The official currency of the Czech Republic is the Česká (Czech) Koruna (CZK) or Czech Crown. The Crown is subdivided into 100 Haler, but all sub-Crown coinage is no longer in use. Czech coinage consists of 1,2,5, 10, 20 and 50 Crown pieces. Banknotes come in 100, 200, 500, 1000, 2000, 5000 increasing in size with value and varying in color and graphic designs. Your best rate is to pull money out of the ATM — NOT the exchange stations at the airport. Currently (February, 2019), the exchange rate is 1 Euro = 26 Korunas. Check rates here. As the official currency, the Czech crown is the best and often the only possible currency to use when paying. Although the Czech Republic is part of the European Union, the euro is not widely accepted here yet. Some stores, restaurants and hotels accept payments in euros but the exchange rate may not be very good. Electricity in the Czech Republic is 220V and AC 50Hz. Make sure your appliances like shavers, hairdryers, camera chargers, laptops, etc. have a switch to change the voltage to 220. All sockets have two round female contacts (live left) and round blanking/grounding protecting pin in the middle of the top. If you don’t have an adapter you can often purchase one at the airport when you arrive (plugs and adapters are hard to find in Prague shops, so be prepared and buy it at the airport or before you arrive). If you are visiting from North America you will need a transformer as North America works on 110V and 50 cycles and Europe works on 220V. Prague is one of the most beautiful cities in the world. It’s uniquely preserved historical centre, a UNESCO World Heritage Site since 1992, reflects eleven centuries of history. The skyline is dominated by Prague Castle towering above the Vltava River, which in turns reflects the city’s landmarks, towers, church domes, palaces and houses, garden greenery and islands. Old Town Square is the most significant square of historical Prague. A highlight is the Old Town Hall with the Astronomical Clock and Calendarium which on the hour during the day causes the windows open so you can see the procession of the apostles. The Charles Bridge is famous for its many fine old statues and splendid view over the Vltava River to the Prague Castle. If you’re looking to escape the hustle and bustle of Prague’s city center, descend the stairs from the famous Charles Bridge to enter Kampa Island. In this oasis of tranquility, the cobbled streets are flanked by elegant houses and cosy cafe’s. The Petrin Observation Tower is set in landscaped gardens, which make for a pleasant stroll all year around. In the grounds there is also an observatory, a hall of mirrors, a church, and a rose garden. If you want to see 20 top-rated tourist attraction in Prague, have a look here. Cestr for meat-eaters. Delicious beef steaks from Czech cows . The meat melts in your mouth, fabulous side dishes and beer. Packed on most nights – reservation usually needed. Easily one of the best restaurants in Prague. La Degustation is amazing. It’s all Czech (from the pottery to the wine) and has a Michelin Star. Reservations are needed and it may be too late (not to mention it’s a bit pricey), but it’s WELL WORTH IT. Pot au Feu – not cheap, but very good French style with a Czech twist. Maybe the best chef in Prague right now, in his opinion. Universal – very reasonably priced French Bistro style – especially recommend the beef carpaccio. Just behind the Prague National Theater, not far from the river. Mamy for authentic Korean food. Many vegetarian options as well! And finally, we recommend Styl & Interier – outdoor Cafe and Shabby Chic furniture showroom, secret garden of Prague, light cafe menu, fresh food and desserts. Low price range. Professional Learning is something that Faculty and Staff live and breathe at ISP. Faculty and Staff can build on their knowledge in their chosen educational fields but also have the opportunity to grow professionally in a host of directions. 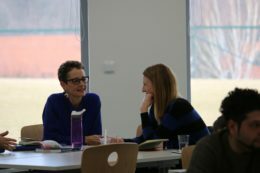 Professional Learning Salons take place at ISP four times every school year and encompass a range of topics some of which are directly related the role of the educator, such as, to name but a few; Learning Environments, Learning Support, Critical Thinking, Listening Techniques. Other Salons aim to stimulate creativity and promote good health, such as, for instance; Drawing to Learn, 3D Printing, Health and Wellbeing and Yoga and Mindfullness. 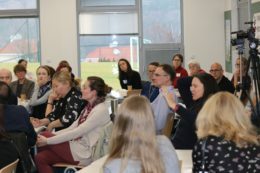 ISP is very active in regional and international educational networks and in 2018 hosted the Central and Eastern European Schools Association (CEESA) Conference. 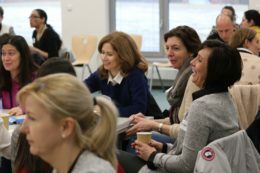 ISP Faculty are regularly involved and indeed take lead roles in educational conferences and professional learning opportunities around Europe and beyond.